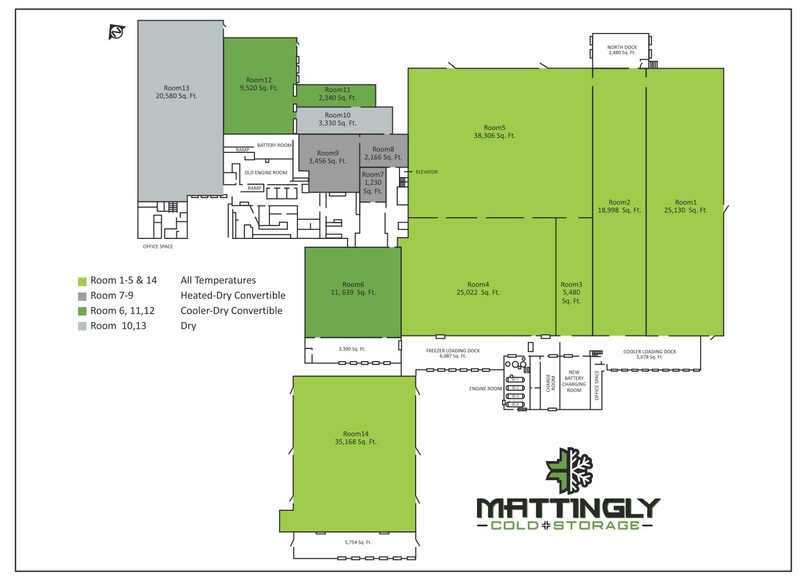 At Mattingly Cold Storage we offer a state-of-the-art, full-service, multi-temp facility. Throughout 225,754 sq. feet we have 25,049 rack positions, 32 dock doors, 14 convertible rooms and an oversized lot that allows easy maneuverability for our drivers. Strategically positioned east of Columbus, Ohio, just off of I-70, we are ideally located to effectively meet the needs of both clients and potential clients throughout the Midwest, East Coast and Southern states.